This playful pack of water-resistant cards is packed with all important survival tips and information. 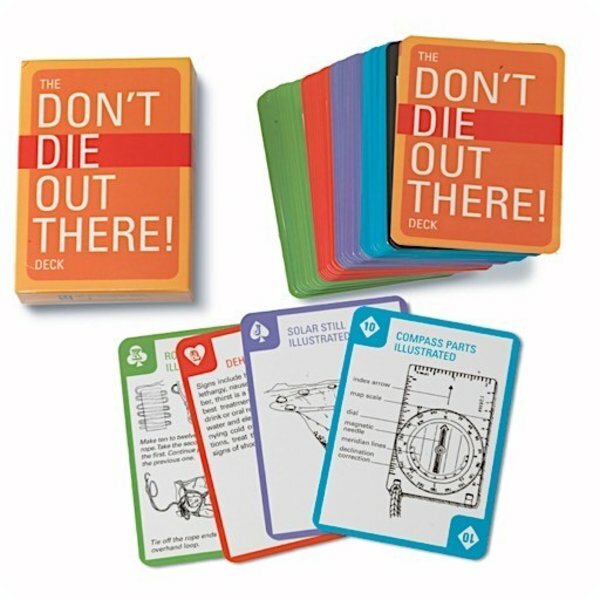 Written by an outdoorsman and physician, this deck is perfect to tuck into your backpack, pocket or glove compartment and will give tons of survival tips that could prove lifesaving! From construction of emergency shelters and evacuation techniques to how to care for someone with a fracture or even construct a solar still - this deck is a great gift for anyone who spends time in the outdoors.